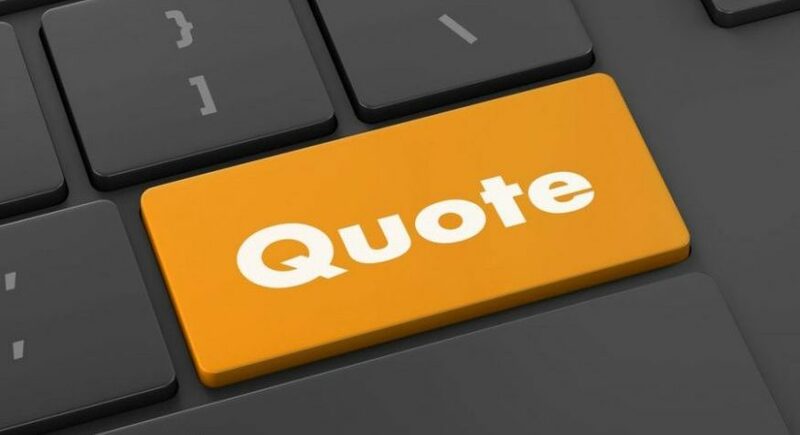 As difficult as it may seem to extract genuine information from the internet, obtaining an accurate moving company quote is not too tough, granted the right questions are asked and the customer understands what he or she needs from the relocation. Most real-estate businesses will tout some sort of estimation tool or widget that asks a series of questions regarding the relocation and some personal information. If the size of the move is generally larger than most, the estimation may include a vehicle rental agreement or pricing suggestion. Most of the time, this is something that the customer can opt out of or can choose to undertake themselves, but it can cut down on costs dramatically. Another thing that can affect a moving company quote is if there are vehicles that need to be transported as well. This will factor in greatly into the estimation equation, as any business will need to provide special transportation in order to haul vehicles of any size. Water-borne vehicles, for example, require more specialized transportation land vehicles do. After gathering this information, it comes down to securing the best price possible using the site’s widget. There are two different types of forms available for this. The first uses only one set of numbers to spit out a final estimate for the relocation. The other type of moving company quote uses aggregation technology to provide several pricing options at once. Instead of representing one business and providing a single estimate, it sends the information to several affiliated sites, allowing the user to view several different numbers at once. Information that will be normally be asked of from the client is the type of service requested, be it full or partial service, as the customer can take on several of the relocation responsibilities without help. This typically has the greatest effect on the final price, as it eliminates many tasks that the business would have to provide otherwise. A moving company quote will also ask for the destination of the transit. This allows for a more accurate estimation by giving the operation a better idea on what vehicles will be needed and how much fuel will be required. The size of the relocation, down to the estimated weight of the belongings that will be involved in the transit will also help produce a much more accurate number. Though this can be hard to imagine or take a guess at, so a precise figure in this category will also greatly enhance the chances of an air-tight estimation. The rest of a standard moving company quote form will consist of mostly personal information. This is needed for the business to get in contact with the client, as this will allow the operation to ask more specific questions that may not be included in the form. These questions are only needed to establish a connection between the buyer and the business providing the service. It’s a good rule of thumb to remember that the more information that one is willing to provide, the more targeted the response will be.